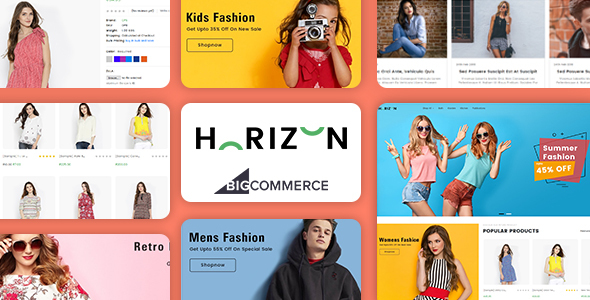 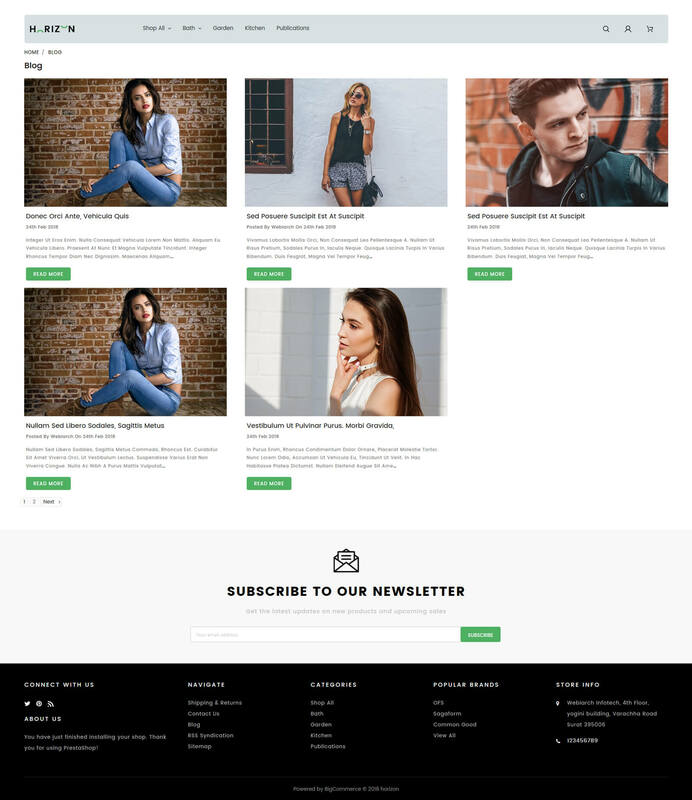 Horizon – Multipurpose Stencil Bigcommerce Theme is a modern, clean and professional BigCommerce theme is fully responsive, it looks stunning on all types of screens and devices. 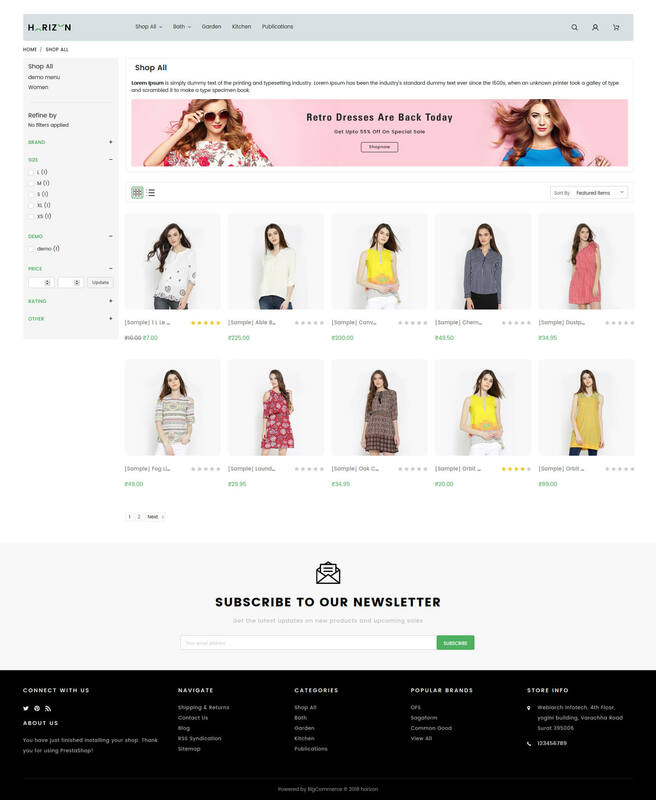 Horizon theme it was built with Stencil Framework with wonderful features like slider,wishlist,quickview,currency. 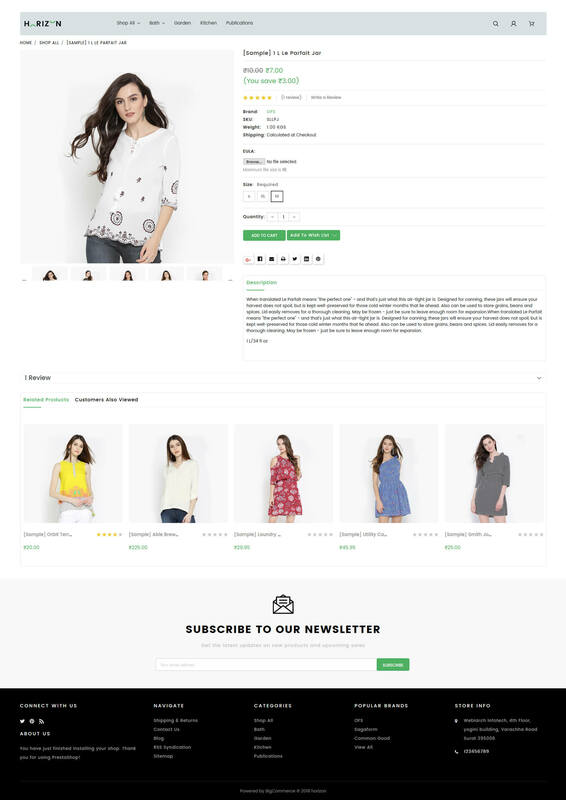 Hope you will have a fresh experience with Horizon Multipurpose Stencil Bigcommerce Theme!